Wait. What? 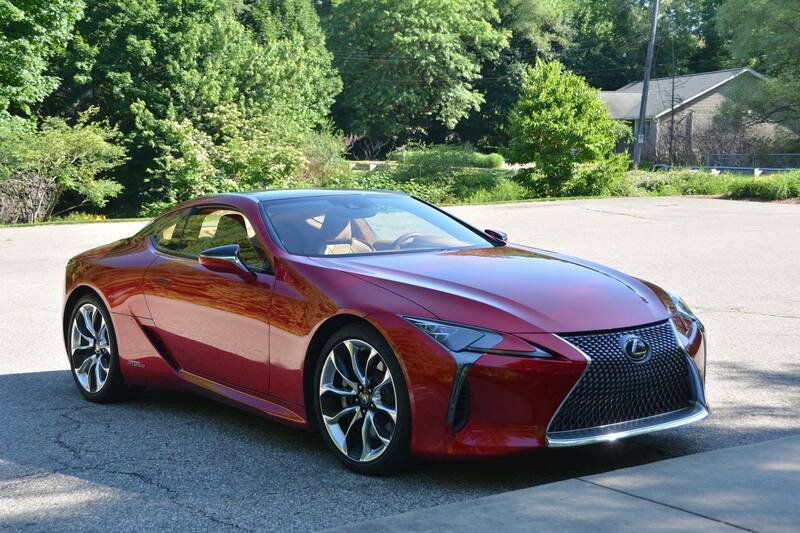 Lexus makes a hybrid LC 500? 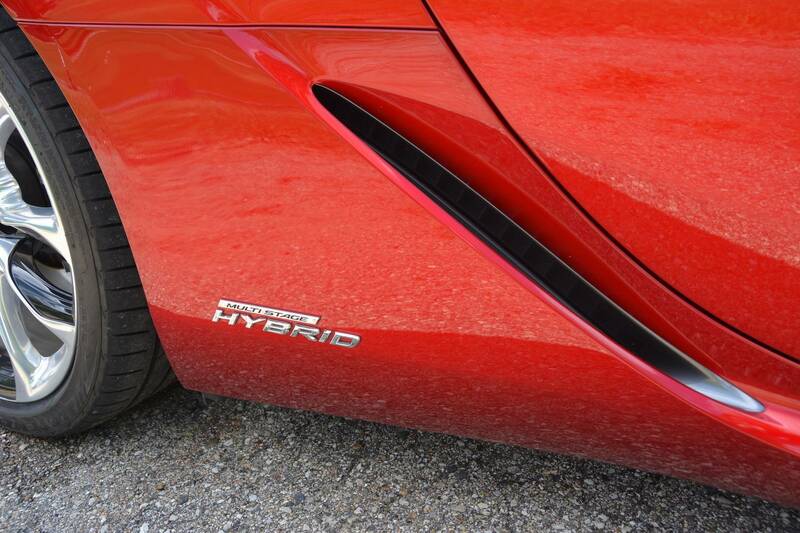 Indeed they do and it might be the sexiest hybrid ever built. 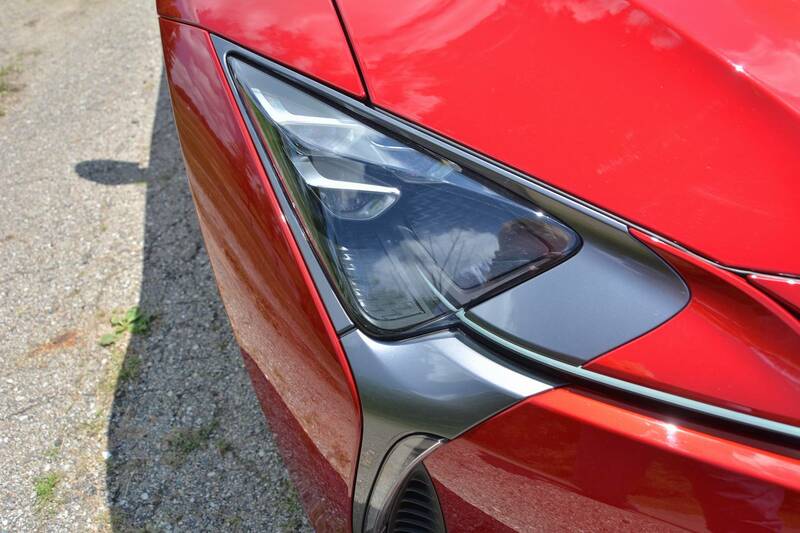 Your next response will strongly determine whether you’re going to like the LC 500h. 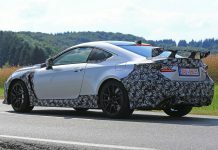 It’s either going to be “That sounds awesome, tell me more” or it’s going to be “Why would they screw up a perfectly good car with all that hybrid crap?” Because if you’re a gearhead with gasoline in your veins, you’re going to find the standard LC 500 to be more desirable. 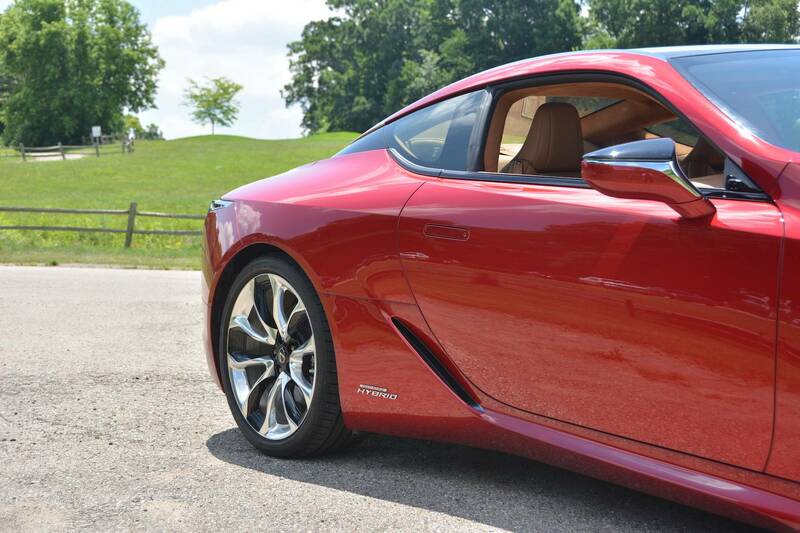 If you’re a technology geek and/or an environmentally-conscious driver, you’re going to love the LC 500h. While they may look the same, they’re very different cars. 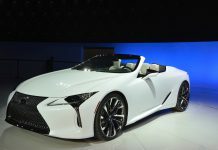 Being a gearhead myself, I was curious as to why Lexus would bother with the hybrid version. 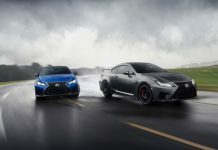 The answer is that Toyota, maker of the world’s most popular hybrids and parent company of Lexus, has decided that within five years they would offer a hybrid version of every car in their line-up. Why? Well, not only because it reduces the use of fossil fuels and is arguably better for the environment but also because there’s a huge market for electric and hybrid cars, especially in tech-savvy cities like Los Angeles, San Francisco, Seattle, and New York. They’ve become the cars of choice for tech entrepreneurs and environmentalists alike, and there isn’t a hybrid sexier than the LC 500h. Walk around the car. 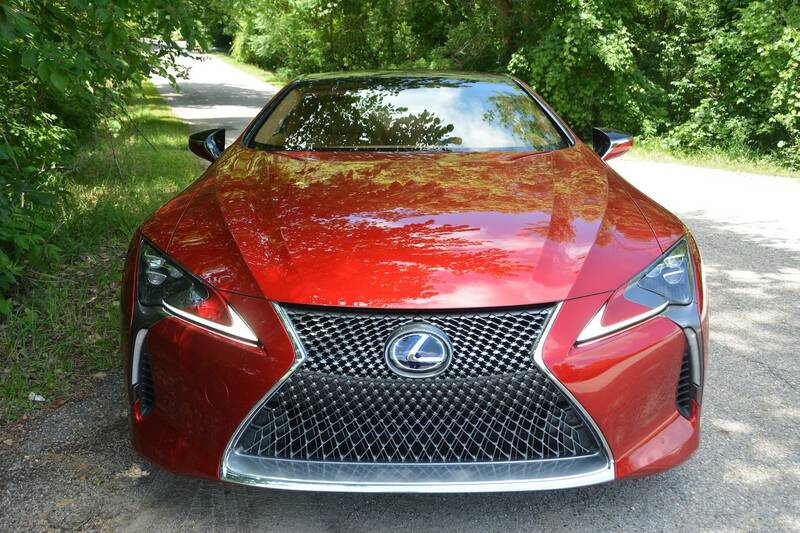 It doesn’t look any different than the standard LC 500. 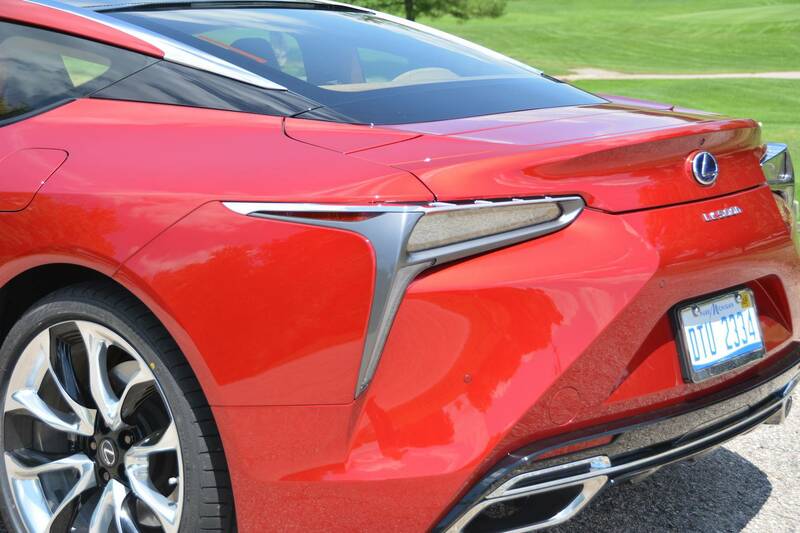 The only external differences between the LC 500 and the LC 500h are a few chrome badges designating the model as a hybrid. 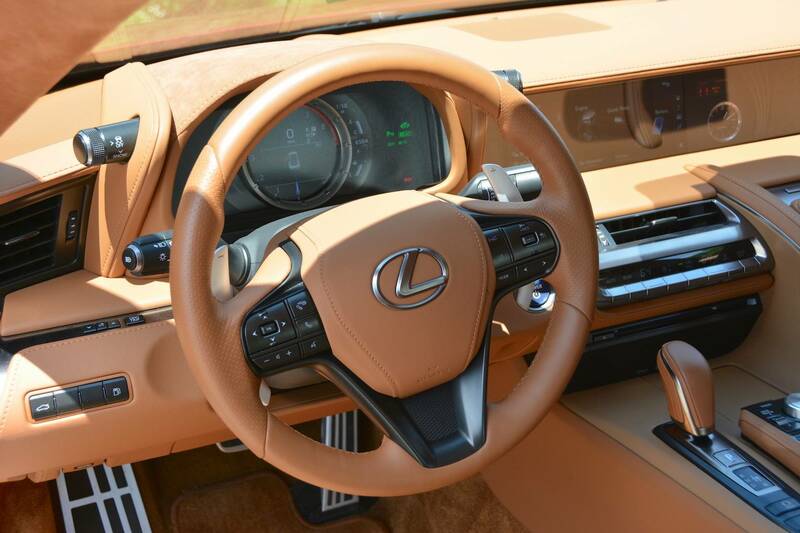 Lexus was smart not to mess up the good looks. It still has those gorgeous curves and fantastic proportions. It looks like something that escaped from Tomorrowland. 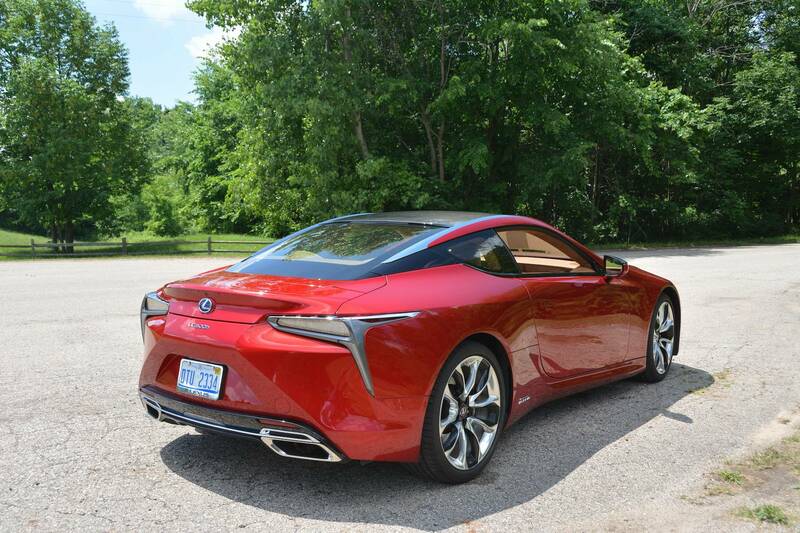 I have to admit that when I first drove the standard LC 500, I thought the growling V8 was a bit out of place, a bit.…antiquated. Don’t get me wrong, the engine sounds AMAAAAAAZING. 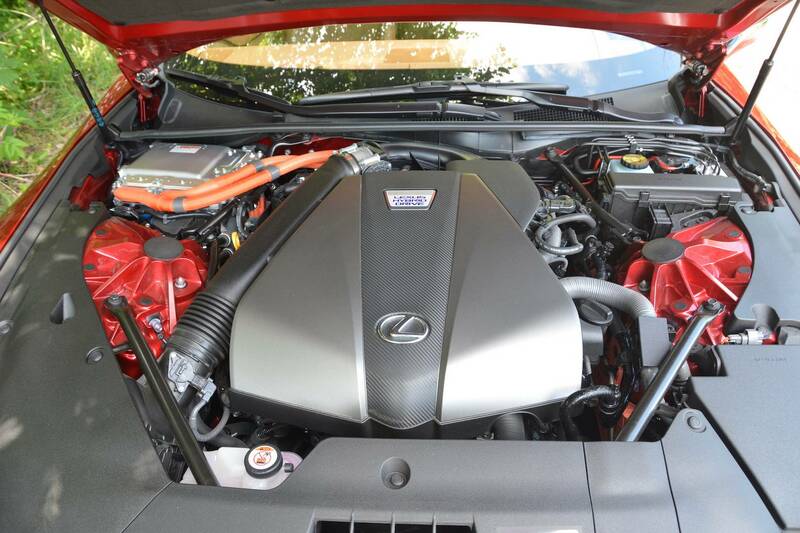 It growls and snarls and roars like few other engines on the market. 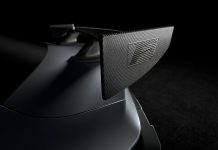 But I fully expected something more futuristic sounding, more in line with the futuristic styling. Something with whooshes and whirs; perhaps the high-pitched whine of an electric motor at speed. It doesn’t take long however for that amazing engine to win you over completely. 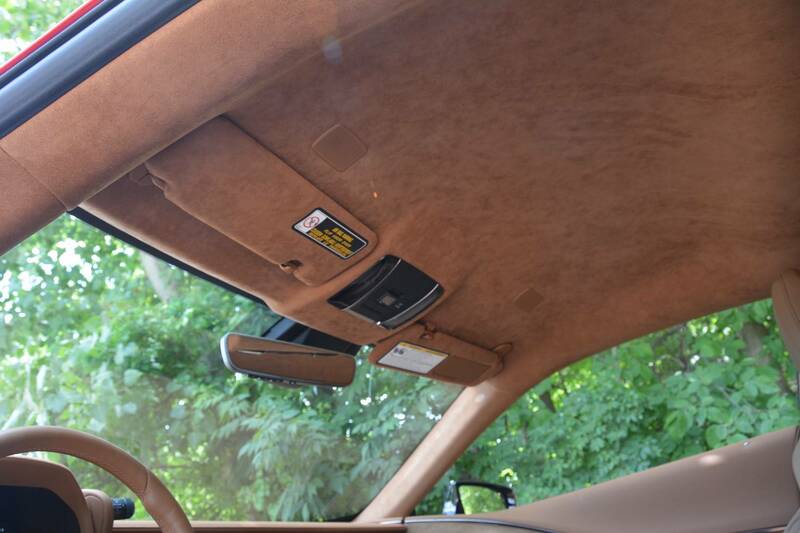 Inside the 500h there’s no difference at all from the standard car. It continues the Tomorrowland design theme. Swoopy lines flow throughout the cockpit, gracefully arcing throughout the cabin. 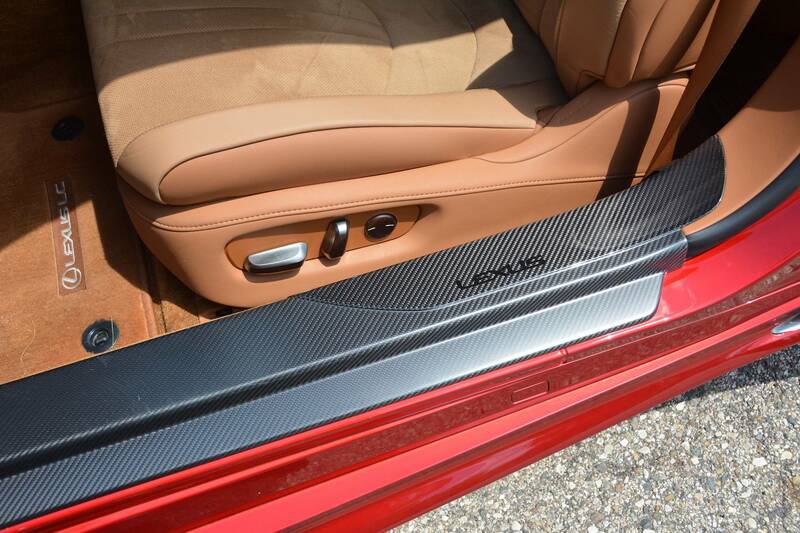 Quality materials like soft leather, rich suede, and aluminum give an air of grace and refinement to the car. It’s gorgeous and inviting and you never want to leave. Shall we take it for a drive and see how the 500h differs? Yes, let’s. 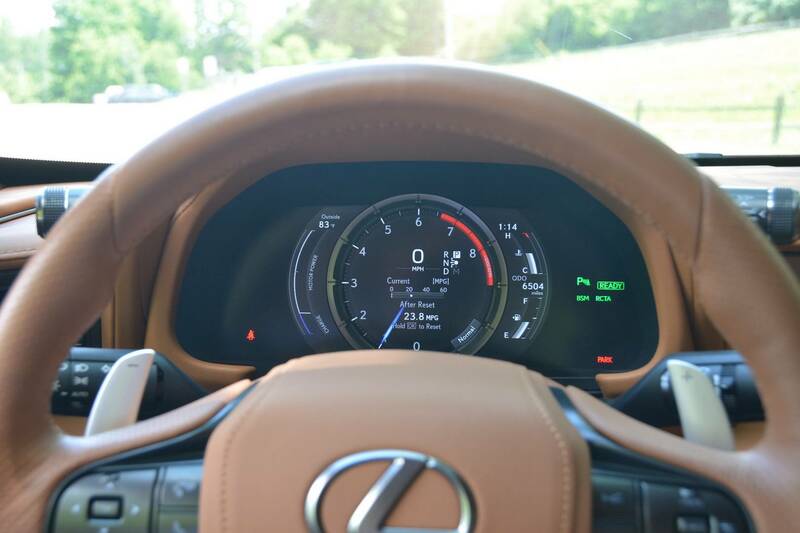 The digital dash and infotainment screens come to life and….that’s it. No motor fires. 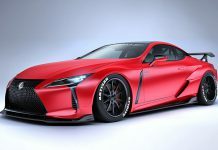 Instead of a powerful V8 under the hood, it’s powered by a Lithium-Ion battery pack and a 3.5L naturally-aspirated Atkinson-cycle 24-valve V6. They make a total of 354 hp. Quite a bit less than the standard model but enough to get you from 0-60 in 4.7 seconds. Because the Atkinson-cycle engine has respectable efficiencies at higher speeds but not at lower ones, the car operates as an electric vehicle at lower speeds. Hence, no motor fires because it’s effectively an EV at this point. 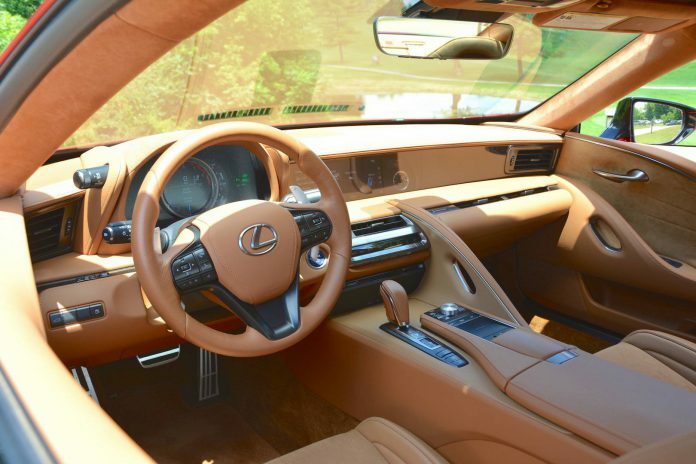 Take the electronic shifter into your hand, that shifter that seemed strangely out of place in the standard car but now seems perfectly suited to this application, and select “R.” The backup camera view comes up on the large infotainment screen and a backup ding begins sounding to let you know you’re in reverse. Other than the dinging, there is no noise. It seems odd to be silently backing out of the parking space, the faint whine of electric motors being the only other sound you hear. Select “D” and the backup ding stops (mercifully) and away we go. The electric motors propel us quietly through the parking lot to the street. When a break in traffic comes, we glide out of the parking lot and almost immediately the gas engine starts and propels us up the road at a lively pace with a noise that tries hard to sound like a V8 but sounds like some something…else. It sounds strangely like a CVT transmission except…it shifts. Or seems to. The transmission is not the same 10-speed automatic found in the standard model. 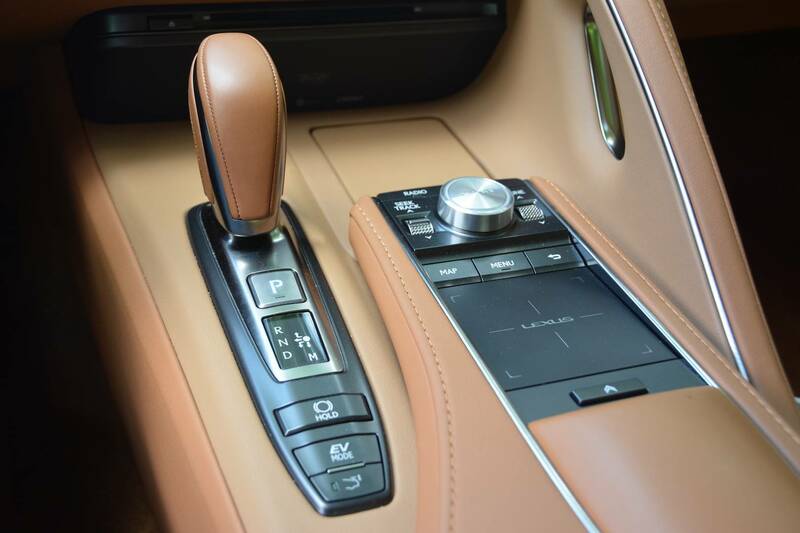 It’s actually a complex arrangement of a four-speed automatic linked to a CVT transmission that faux-shifts to sound like the 10-speed automatic transmission. Your first impression is that it’s a horrible mistake. A joke maybe. 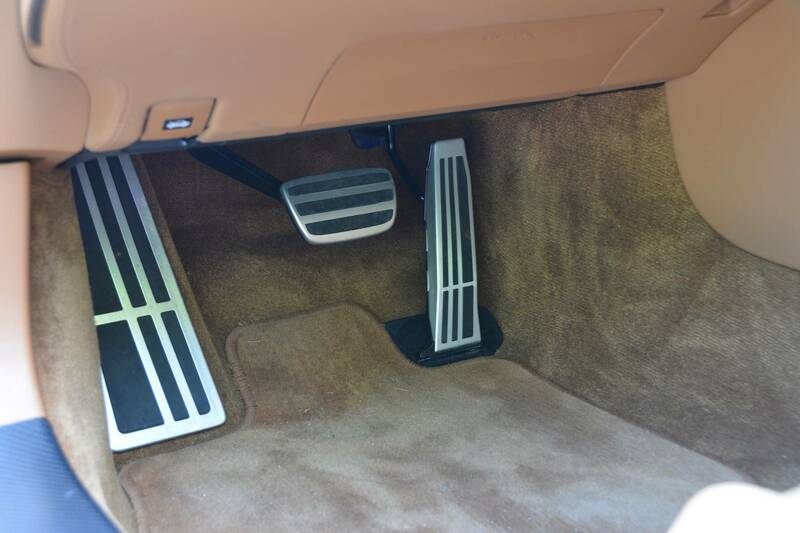 They’re these odd, slurred, fuzzy sounding “shifts.” However, the more you drive it, the more you become accustomed to the sound and if you try, you can start to believe that maybe it sounds like a futuristic Formula One-derived technology or something. 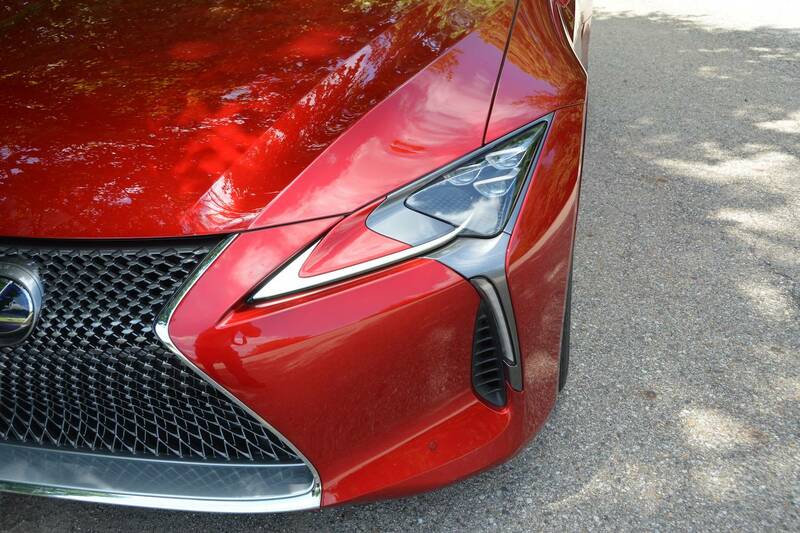 It’s not, of course, and I’m sure Lexus needed it to achieve the efficiency results it was aiming for. It gets the job done just fine. Back on the road, we come to a stop at the first traffic light, and the engine shuts off. We sit in silence, waiting for the light to turn green while trying to ignore the stares of people in cars all around us, checking out the 500h. When the light turns green, the car moves off electrically and then the motor kicks in and propels us with that weird-sounding transmission up to the speed limit. Or a little beyond. It’s easy to get carried away with the acceleration, which is strong. Not V8 strong, but still remarkably quick. The handling is unchanged. Through corners the car glides effortlessly and flat, not leaning much, if any. 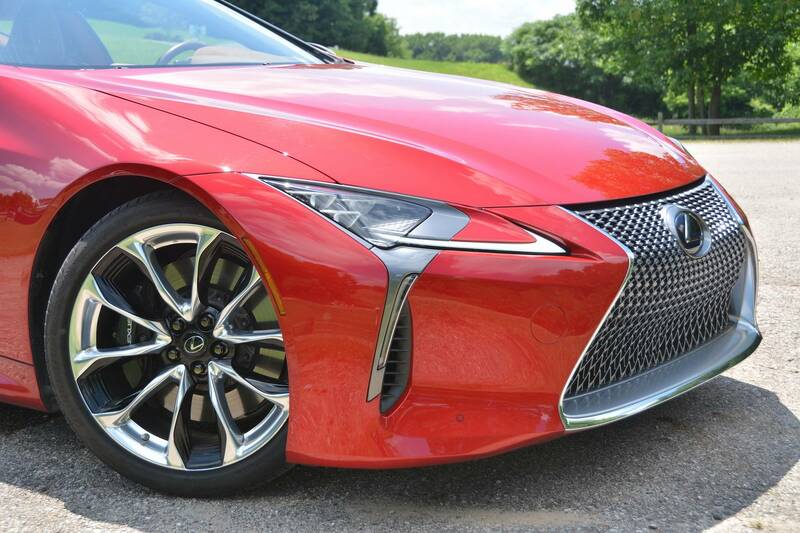 The wide tires give it plenty of grip and the chassis is designed to exploit that. Transitional response is just as great as the standard car. It’ll transition from left to right and back again without drama, making it a predictably handling and very responsive car. 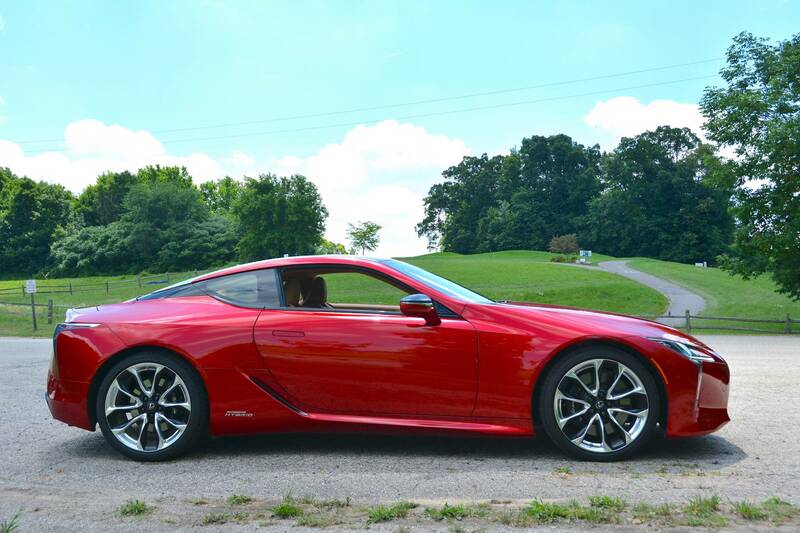 Handling-wise, it’s just as good as the stock LC 500. While the drivetrain operation is a bit unsettling at first unless you regularly drive an electric hybrid, we quickly became accustomed to the hybrid nature of the car and learned to accept it, especially since it doesn’t feel much slower than the standard car. We regularly found ourselves well above the speed limit, forced to back off the throttle. 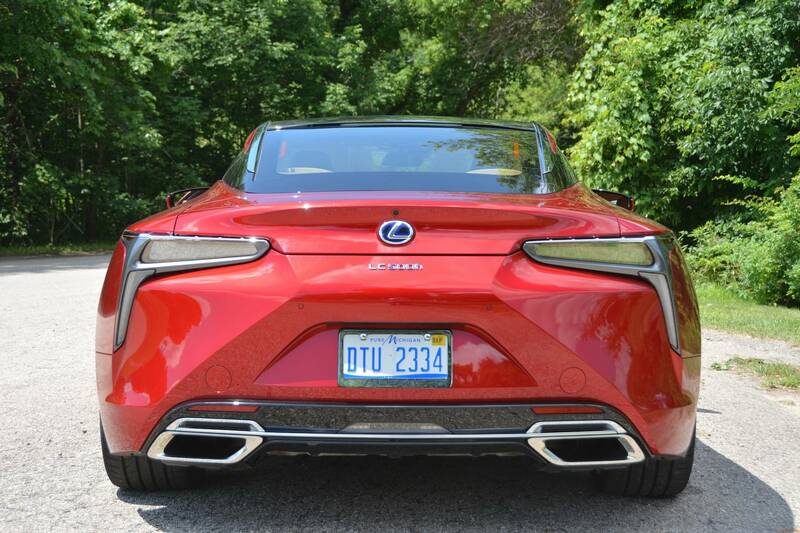 This may be the fastest, best handling electric hybrid car on the market. How the drivetrain works is quite complicated and almost impossible to explain but I’ll try. 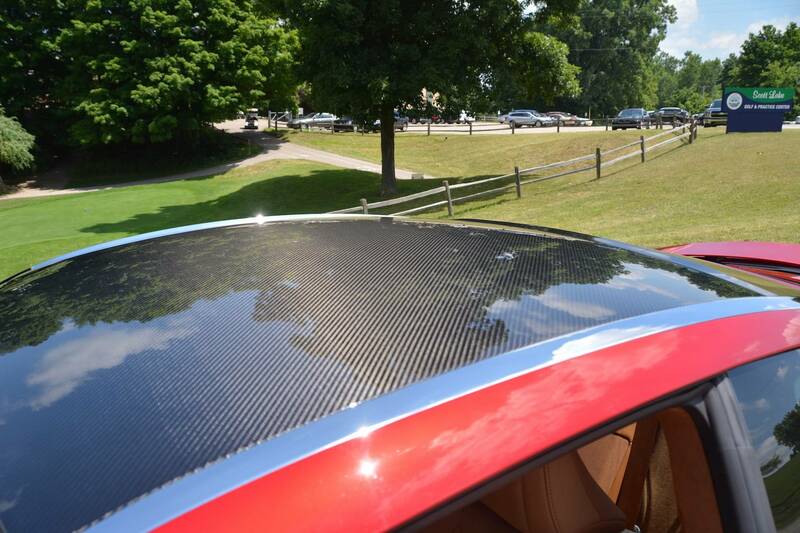 As stated earlier, there’s a Lithium-Ion battery in the back. This provides power at low speeds to a pair of electric motors that drive the rear wheels. At a particular speed, it becomes more efficient to use the gas engine to drive the rear wheels so it kicks on and does just that. While it’s doing that, it’s also recharging the battery pack like a generator. 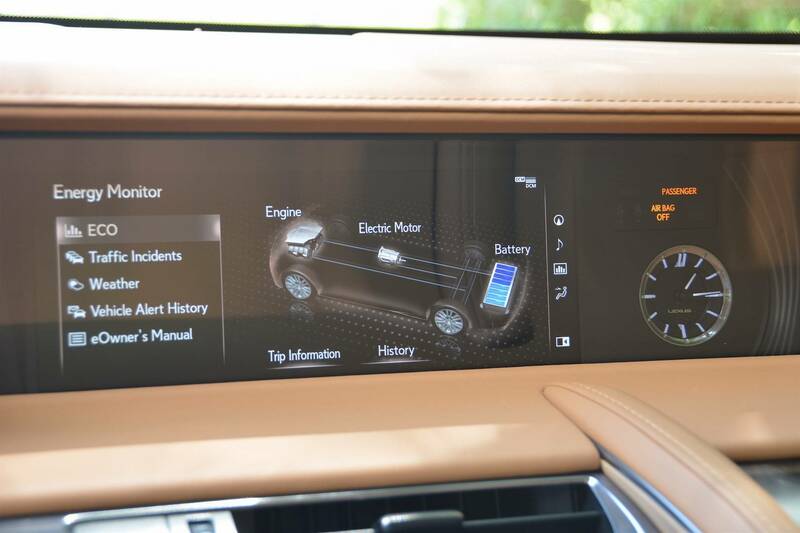 In the course of driving, the electronic brain is constantly monitoring what’s going on and running things most efficiently for any given situation. 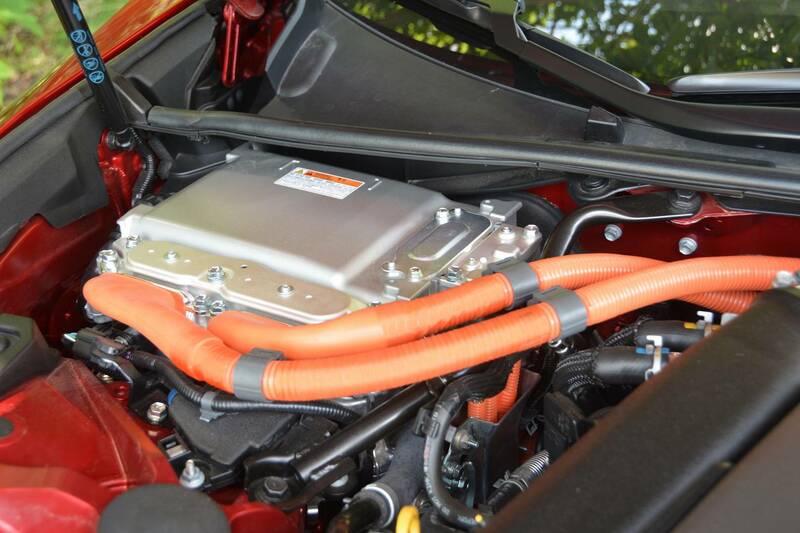 At highway speeds, if you’re driving a constant speed, the electric motor may draw electrical power from the battery or gas motor electrical supply to operate in pure EV mode. Minute throttle adjustments may cause the gas engine to take over again and keep charging the battery. For example, roll on the throttle and the gas engine takes over and launches the car down the road. Ease up on the throttle and the electric battery and electric motors will sustain your speed until it’s more efficient for the gas motor to take over again. 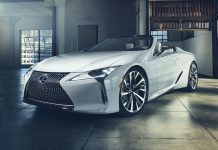 Lexus included an active pictogram app in it’s infotainment system that shows a silhouette of the LC 500h and explains via icons of the engine, electric motor, and battery, what’s doing what in live time. It’s quite an interesting and informative display and really helps you better understand what’s going on around you in this complex machine. The hybrid system performed flawlessly the entire time we had it. 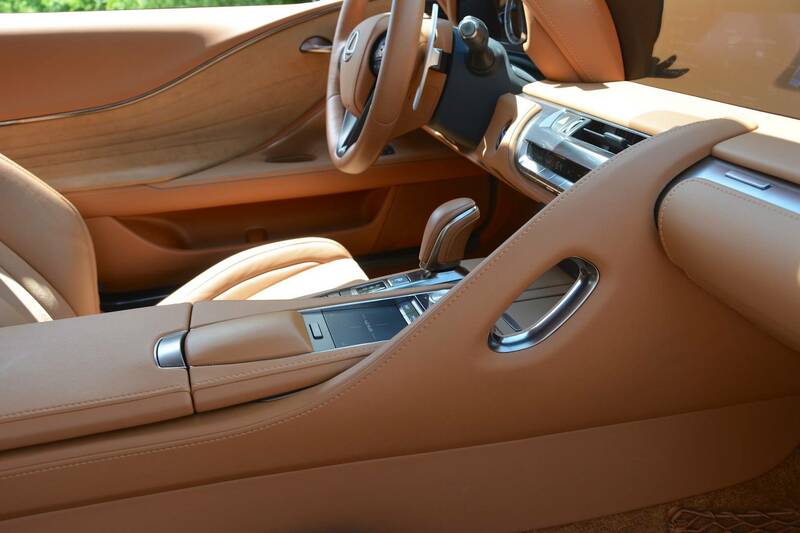 It was efficient, stable, predictable, and comfortable – a perfect example of a flagship luxury car. All this electrical wizardry comes with a weight penalty though. 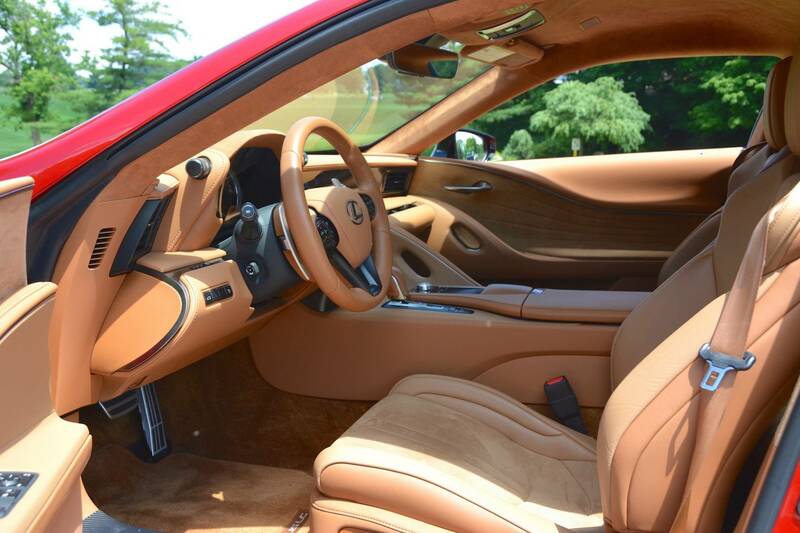 The LC 500h weighs in at nearly 4700 lbs. That’s a few hundred more than the standard model. 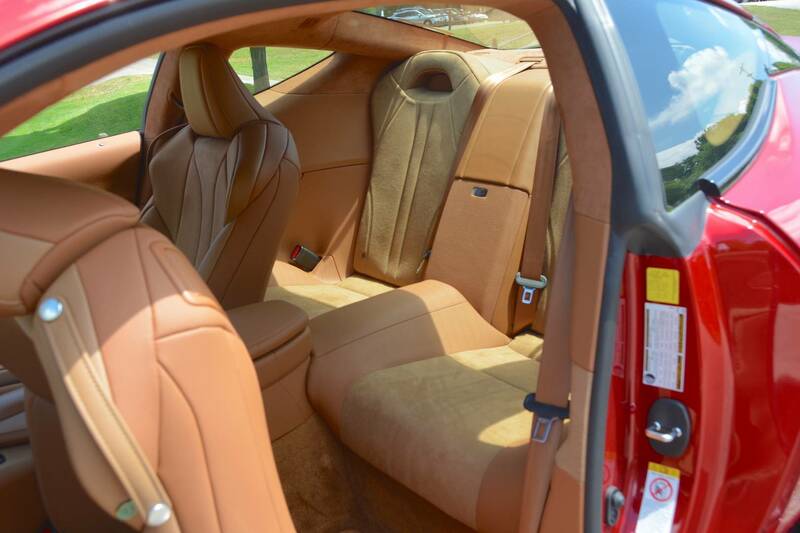 The car doesn’t feel overly heavy though and the massive brakes behind the 21” wheels stopped it impressively quick – all while recharging the battery. There’s a financial penalty too. 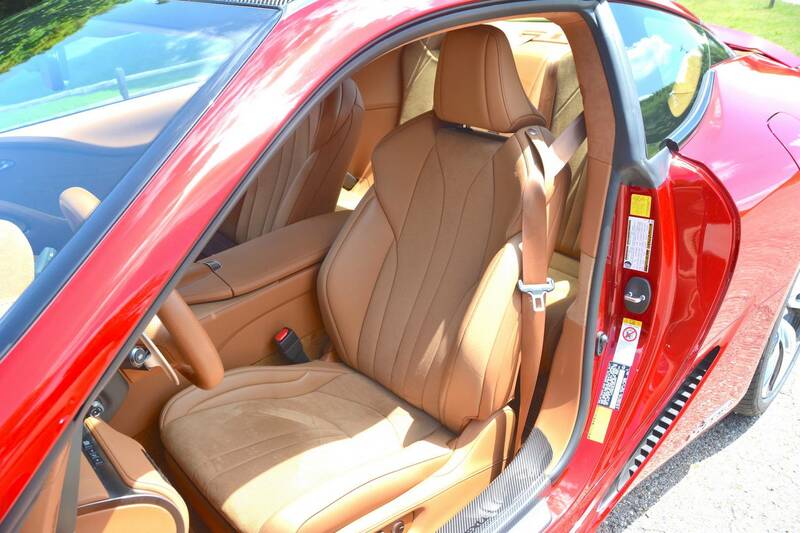 The 500h is a little more expensive than the stock car but it’s also the more technologically fascinating model. The good news is that if you can keep your foot off the throttle (no easy feat!) 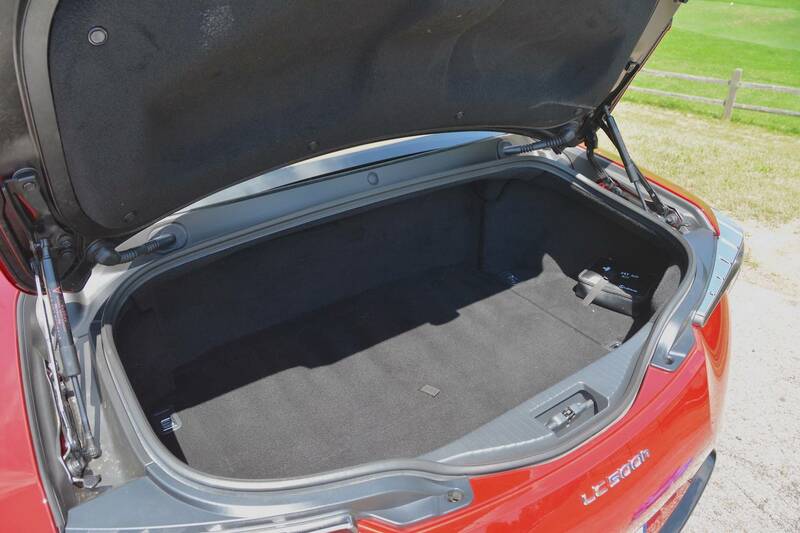 you’ll see improved fuel efficiency numbers. The EV capability saves fuel at low speeds and the Atkinson-Cycle V6 gets better mileage than the 32-valve V8 at higher speeds. The result is much better city driving efficiency and highway mileage is improved slightly as well. 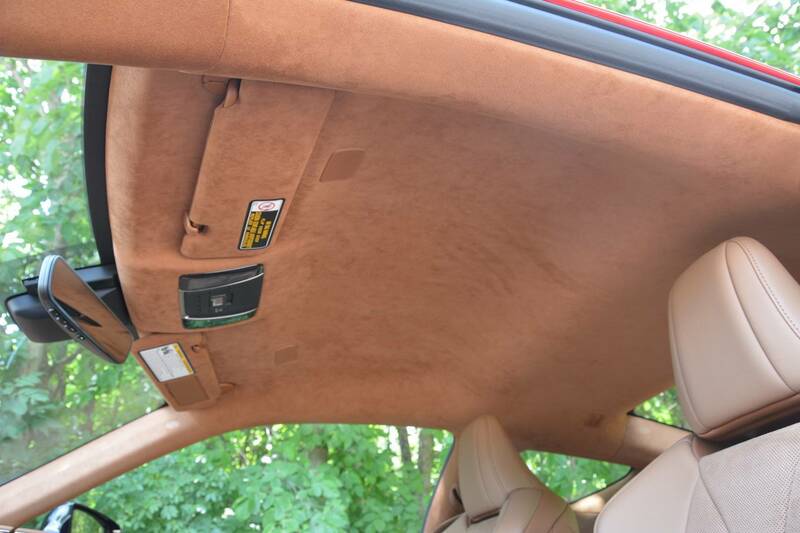 In our week with the car, we only filled the fuel tank once near the end of our review. 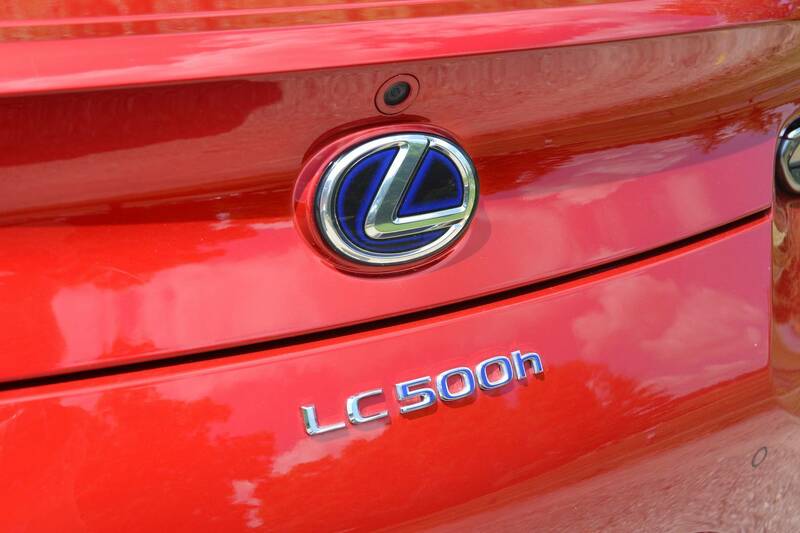 An improvement over the stock LC 500. 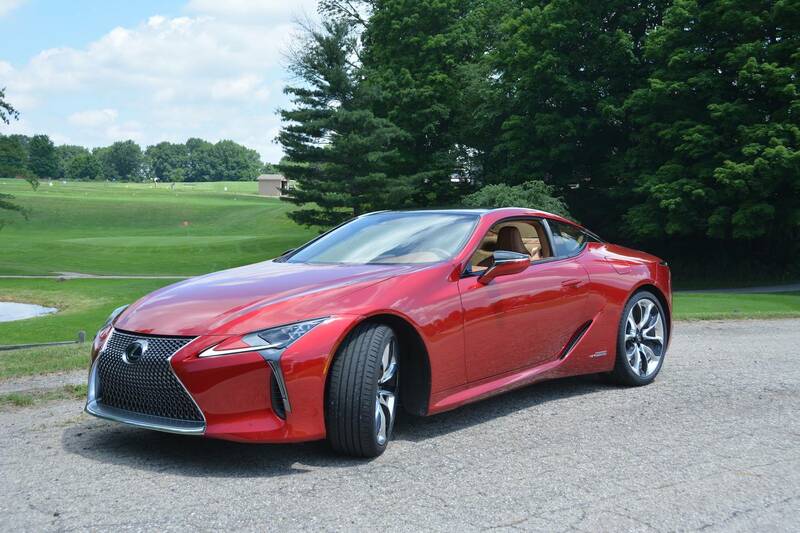 If the LC 500 is ice cream, the standard car and the hybrid car are simply two different flavors. Each very different. Each have value and desirability. One is a gearhead’s dream, the other is an engineer’s and an environmentalists fantasy. In the end, they’re just two different approaches to building a great car. Pick your flavor and enjoy.